Knowing how to build bigger, more muscular biceps is about 3 minutes away if you read this post. Are you using the very best exercises to train your biceps? You need to know…and you need to start using them right away! But how do we determine what is the best exercise for the biceps…or any body part for that matter? I was having this discussion with a fellow trainer a few days ago and I explained, “We actually need to look at the FUNCTION of a muscle in order to find out how to train it in the most effective manner possible”. So what is the function of the biceps? Look at your hand. Go. I mean it. Look at it. Now turn your palm to face upwards. Your bicep was mostly responsible for that movement. Do it again and put your other hand on your bicep as you do it. You’ll feel your bicep contract as you do it. The movement is called supinating the hand and is the first function of the biceps. The second function of the biceps is to flex the elbow joint, bringing the forearm up towards your shoulder – think of the movement your arm makes when doing a regular barbell curl. Therefore, any movement that has the hand fully supinated and flexes the forearm joint will be an optimally effective bicep exercise. (note: all the following exercises are a part of my free THT training program). The American Council on Exercise commissioned exercise scientists at the University of Wisconsin to find out what the most effective biceps exercise was. The result…CONCENTRATION CURLS. Not a surprising result given what I have just stated above. Total muscle activity was measured via wireless electromyography (EMG) machine. Electrodes were placed on the biceps brachii, anterior deltoid, and the brachioradialis. Here’s a video of me demonstrating concentration curls with proper form. Be sure to subscribe to my YouTube channel here. My favourite bicep exercise. It maximizes muscle fiber recruitment in the biceps, but also keeps tension on the biceps at every point on the range of motion (technically called ‘Constant Tension’). The problem sometimes with standing barbell or dumbbell curls is that the resistance starts to ‘fall off’ the biceps at the mid-point of these exercises. Guys who have been through my hyper-intense Arm Blast Workout know how to make good use of these to put well over 100% of their 1-rep max on their biceps. Going >100% may sound impossible, but it certainly isn’t. Maximally recruiting the muscle fibers of a small muscle like the biceps usually necessitates the use of isolation movements. But Chin-Ups are an exception to the rule (using an ‘underhand’ grip). 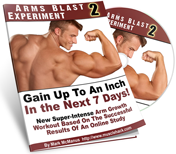 They meet the criteria very well and EMG tests have demonstrated clearly that they are incredibly effective at stimulating growth in the biceps. I haven’t yet shot a demonstration video for Chin-Ups, but it’s in the works (coming soon). In the meantime,here’s a pretty good tutorial for chin-ups. But proper form is all-important here. Basically, LET YOUR BICEPS DO THE WORK. All the “swinging around” I see going on these days is not going to do much of anything for the biceps (not to mention it just looks hilarious). If you can do more than 12 good reps, add weight by using a dipping belt. For all of the above, and in keeping with THT training guidelines, select a weight for each set that forces positive failure anywhere between the 8th and 12th rep.
P.S. Just letting y’all know in advance that there’ll be a fresh intake of clients for my Jacked ‘N’ Ripped member’s site on Wednesday 6th July 2016. Doors are open for 48hrs. 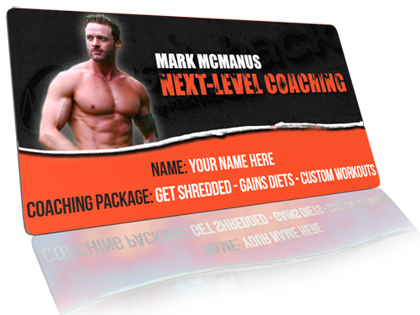 JnR is where I privately coach members on the “holy grail” of building muscle and losing fat at the same time. 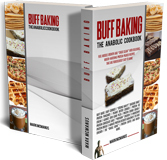 Putting an end to endless bulking and cutting cycles. You’ll lose blubber & set a NEW BODY FAT “SET POINT“ – and keep it there FOR LIFE. And at the same time you’ll pack on muscle and strength like never before with the added and free bonus of ADVANCED THT training. Coming Wednesday 6th July 2016. I’ll keep you all posted by facebook and email. How To Rest For Max Gains In Muscle Size & Strength! Looking forward to adding chin ups. It’s been a while! @Mark While doing seated incline dumbells, Suppose I go to failure with my right hand for a particular weight at 12 reps. But due to low strength of my left arm, I can reach failure with the same weight at 8 reps for the left hand. So due to this, in my next workout I can increase the wt. for right hand but have 2 use the same wt. for the left hand BUT The trainers @Gym say that you dont use different weights in both hands. They say use the same wt for both hands. What should I do? Another quick one- Is stiffed leg deadlift different than normal deadlift? If yes then can u give the tutorial for stiffed leg deadlift. 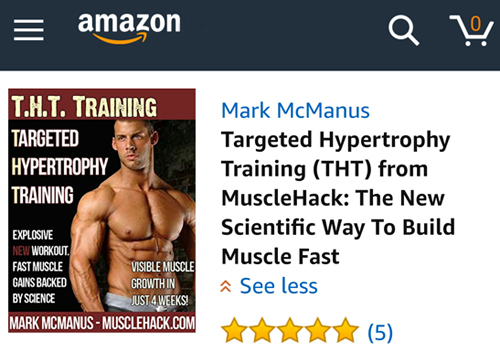 Cant find it on Musclehack site. @Abhilash. Yes, use the same weight for both. When increasing weight, increase by the smallest increment possible. If you do less reps with the left arm, so be it.